Farm To Fork Sunday Lunch! 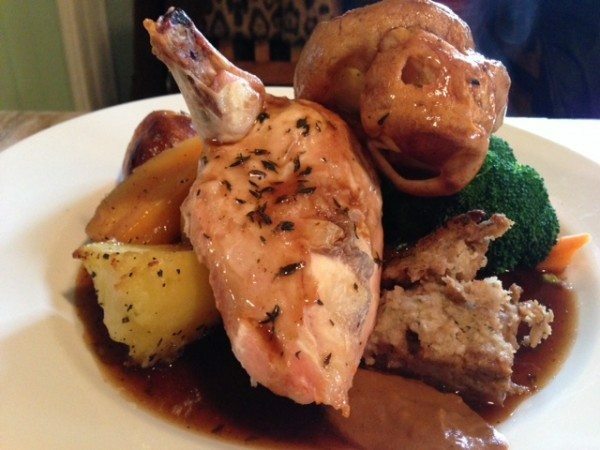 Who doesn’t love a Sunday roast? We try to cook one most Sundays but sometimes it does feel like a bit of an effort. It’s January and it’s finally cold as Winter should be after a strange few months of unusually mild weather. 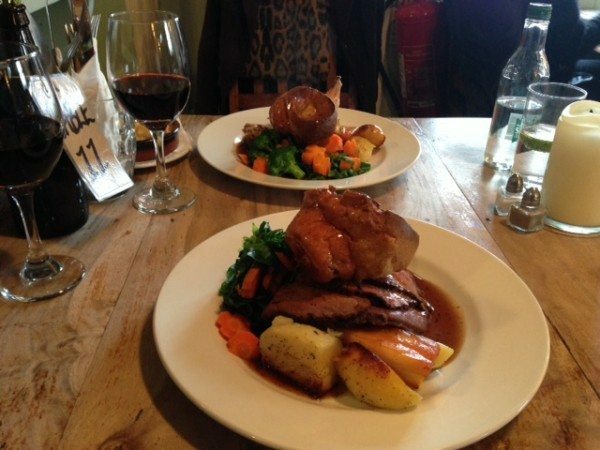 Despite the cold, we decided this Sunday we would go out somewhere for our weekly roast and let someone else do the cooking whilst we just sit back and do the eating. No washing up either. Perfect. 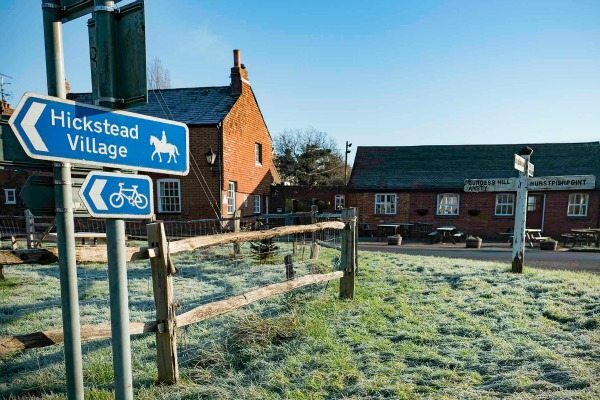 The Sportsman Public House in Goddards Green is easy to find, just off the A23, past the village of Hurstpierpoint and a bit further on down the road. It’s a handsome looking pub, with a large carpark and a beer garden at the back. Formerly two pubs, the Magpie and the Sportsman were knocked into two a few years ago to create the pub as it is now. It has plenty of history, dating back to the 1800’s where it was recorded as a ‘beer house’. As we walked in we went up to the bar which had a few locals sitting at it sipping their pint. There seemed to be two restaurant areas both right next to the bar making it feel cosy and ‘integrated’. It gave the feel of getting the ‘best of both’ ­ a local watering hole, as well as a restaurant to enjoy a good meal. 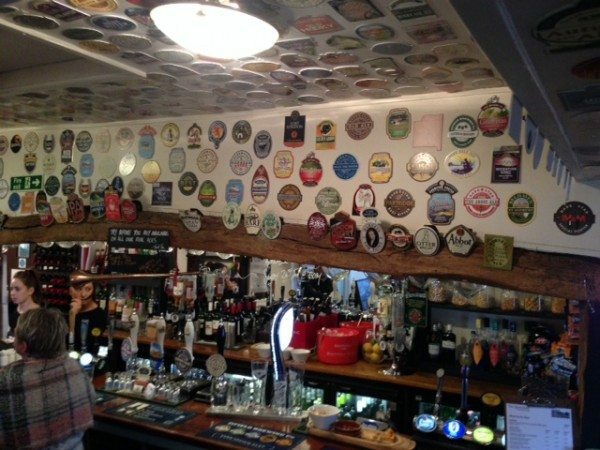 Old beer mats cover the ceiling and the walls of the bar displaying some of the many ales and craft beers they have had on offer. 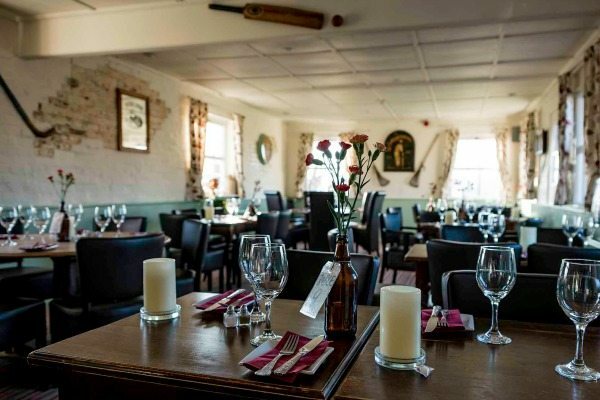 The restaurant area has a lovely ‘country’ homely feel to it, with wooden flooring, dark wooden furniture, pale olive green walls and best of all, a burning log fire. The most interesting and distinctive thing about this place though is the pig farm in the back garden. That’s right. The owner Matt breeds his own Manzanilla pigs in the backyard, giving the term ‘local produce’ a whole new meaning. Or as it’s also known, ‘farm to fork’ produce. When the waitress was telling us about it, she also added with a smile that they had kept Matt busy this morning after escaping! No panic though for pork lovers­ they had been found and were back in their pens­ all present and correct. We sat down by the fire and contemplated the menus. In preparation for this treat, we both had a very light breakfast so were more than keen to order. Although we were tempted to try the ‘local’ pork, we both went in a different direction ­Tommy, the ‘roast sirloin of beef’ and me, the ‘roast chicken supreme with sausage meat stuffing’. Though not quite as local as the backyard, both meats were from a nearby butchers in Lingfield. As it was a bit of treat coming out for our Sunday roast instead of cooking it, we decided to also have a starter and share the ‘port and stilton chestnut mushrooms with dipping breads.’ These were served in a small clay pot on a breadboard. The sauce was incredible. Rich, creamy and savoury and not overpowering with blue cheese but just enough to give it that bite. We could not get enough. Though we were both glad we shared as it was a very rich dish. It went superbly with a nice glass of Rioja. The wine list is really decent, but if you’re more of a beer fan, you’ll also not be disappointed. 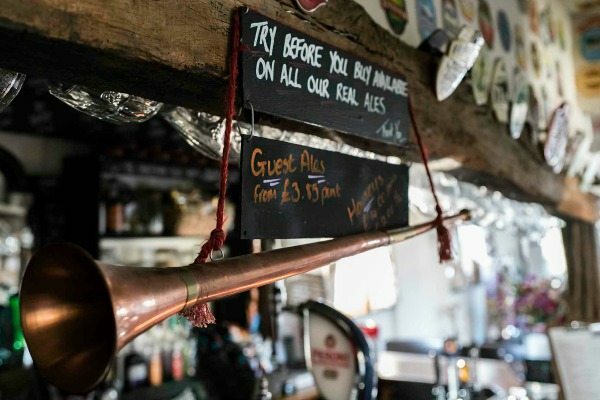 There are at least 5 local craft beers on offer, all from West Sussex, as well as plentiful ales on tap. Although the pub quickly started to get busy, this didn’t seem to affect the excellent service we received throughout our meal. The waiting staff were all friendly and super efficient. Our roasts came out fairly quickly after our starter, but with enough space for a breather. They both looked magnificent. The huge portions were presented beautifully with an array of vibrant looking veg’ on display. I was also pleased to see that I still got a homemade yorkshire even though I wasn’t having beef. We also got a complementary portion of cauliflower cheese. Everything tasted very fresh and flavoursome. The veg’ was cooked perfectly­ still with a bit of firmness to it. The potatoes were lovely and crispy on the outside and fluffy on the inside, just how roast potatoes should be. We both went way past our ‘full up’ threshold as it all tasted so good and would have seemed like a real waste to leave any. Despite our ridiculously full and satisfied bellies, we ordered a dessert to finish off. It had been such a lovely meal, we wanted to end on something sweet. Strangely however, given the season we both went for a cold dessert. 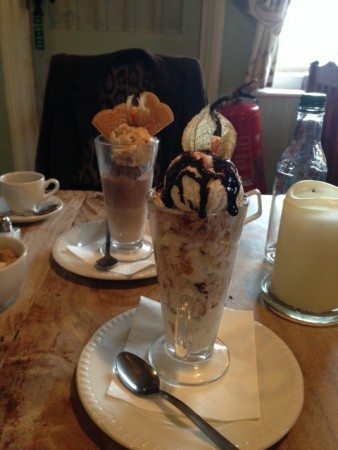 Tommy chose the ‘chocolate brownie and salted caramel ice cream eton mess’ which actually came out like a sundae. The brownie was blended with a mixture of the salted caramel ice cream, chocolate ice cream, crushed biscuit and chocolate sauce. I thought Tommy would have been disappointed as he was expecting a warm wedge of brownie with a bit of ice cream on the side and maybe a bit of crushed meringue on top. In fact, he loved it. I went for 3 scoops of Bennets farm dairy ice cream: praline, chocolate and cappuccino. Deliciously creamy, it was also served in a latte glass with 2 wafers and a gooseberry on top. With an espresso alongside it, it was the perfect way to end a lovely Sunday lunch. 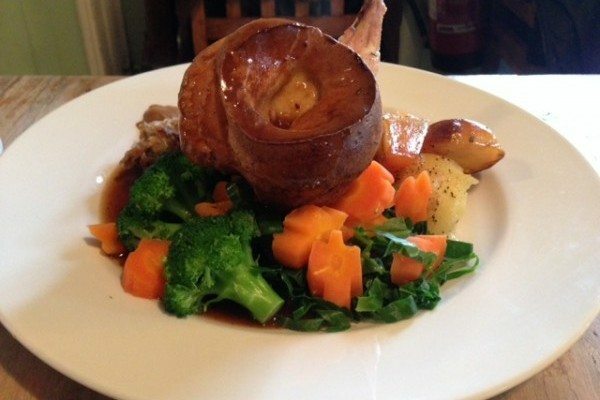 I would definitely recommend the Sportsman to anyone who doesn’t fancy cooking on Sunday and just wants to be spoilt with good quality food and drink, in a cosy and homely atmosphere. It’s obvious that everyone is welcome here, from young families to dog loving singletons. We’ll definitely be back.